"NOBODY GOES THERE to eat anymore," the legendary baseball star and malaproprist Yogi Berra once said about a St. Louis restaurant. "It's too crowded." We laugh at the ingenuous irony in Berra's words: His remark simultaneously contradicts itself, yet makes intuitive sense. Obviously the restaurant is crowded because customers are going there. On the other hand, who wants to go to a restaurant that's always crowded? Transportation planners talk about busy highways in much the way Berra quipped about packed restaurants. Highways are too congested, they say, so why build more of them? Add new traffic lanes and they'll just fill up too. This is the doctrine of "induced demand" — the belief that traffic, like gas, expands to fill any available space, and that it is therefore futile to imagine that highway overcrowding can be relieved by building more highways. In many circles, this has become unassailable dogma. In a 2014 article in Wired ("Building Bigger Roads Actually Makes Traffic Worse"), Adam Mann put it concisely: "New roads will create new drivers, resulting in the intensity of traffic staying the same." At Streeetsblog, a leading anti-automobile, pro-transit website, Tanya Snyder was even more concise: "Roads cause cars." To induced-demand true believers, enlarging a highway is as primitive and ineffective a cure for congested traffic as bloodletting was for cholera. Adding highway capacity may briefly speed up traffic flows, they argue, but new drivers quickly slow it back down. Before long, the new lanes are just as congested during rush hour as the old ones were. "Trying to solve congestion by making roadways wider," says urbanist Charles Marohn, "is like trying to solve obesity by buying bigger pants." But the simile is wrong. Our snarled roadways are less like obesity, an unhealthy condition to be treated and overcome, than like a teen's growth, a natural development to be welcomed and accommodated. In most of the country, automobile driving is the most economical way of getting workers to and from jobs, patients to and from doctors, shoppers to and from stores, sports and music fans to and from games and concerts. And nowhere is it done more efficiently than on interstate highways, which account for just 2.5 percent of all roadway lane-miles in the United States, yet handle 25 percent of all vehicle travel. And that's despite chronic congestion that keeps getting worse. America badly needs more highway capacity. Our interstate system was built in the 1960s and 1970s for a nation of 200 million with a $1 trillion economy. Today the United States has a population of 325 million and a $19 trillion economy. We are a much bigger nation with a much bigger economy. Our transportation infrastructure hasn't kept up. This isn't a problem that can be solved with more bike lanes, carpooling, or public transit, even with ample funding and goodwill. Over the last quarter-century, federal and state governments have invested heavily in adding carpool lanes, and about 20 percent of federal Highway Trust Fund money is diverted to public transit. Yet single-driver highway travel remains dominant and indispensable. As Robert Poole Jr., a transportation scholar at the Reason Foundation, points out, outside of six "legacy-transit" cities (Boston, New York, Chicago, Philadelphia, Washington, and San Francisco), only about 5 percent of daily commuting in America is by transit. "People continue to travel on urban freeways because using them is less bad than the alternatives," Poole writes in his new book, Rethinking America's Highways. There is no prospect of that changing. For entirely respectable reasons, Americans prefer to drive on highways. Public policy should be aimed at facilitating that preference, not thwarting it. That said, calling for more highway capacity doesn't mean calling for more 1970s-style monster interchanges, especially in urban areas. Construction engineers in the 21st century have an array of options for expanding or building highways with greater sophistication and sensitivity than they could two generations ago. Among them: decking over highways that were constructed in below-grade trenches, and designing cars-only highways with narrower lanes and reduced speeds. In Tampa, engineers conceived an elegant way to extend the Selmon Expressway without having to condemn any land or displace any residents: The new lanes were built above the median strip of the existing roadway, supported by pillars that required only six feet of width and left ground-level sightlines largely unobstructed. 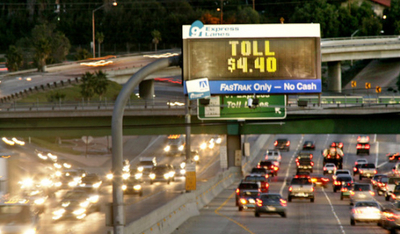 Some motorists bristle at the thought of having to pay to use an expressway. But congestion is payment, too — payment with time instead of with dollars. If the purpose of highways is to get people quickly where they need to go, variable tolls are far more effective than jammed-up traffic. Adding new highway lanes isn't enough, though. It is also crucial to price them sensibly. That means no more freeways. Those who drive on highways should pay for the privilege, via tolls that change as traffic flow changes, the goal at all times being to keep vehicles moving at a steady speed. Habituated by a lifetime of "free" highway driving, some motorists (but only some) bristle at the thought of having to pay to use an expressway. But congestion is payment, too — payment with time instead of with dollars. As a means of paying to drive, variable tolling is obviously far more efficient than jammed-up traffic. It's also the only means that advances the purpose for which highways exist: quickly getting people where they need to go. "Induced demand" is no impediment if highway driving is properly priced. This year Virginia implemented variable tolling on Interstate 66 outside Washington, DC; drivers and advocates howled when tolls during peak travel times sometimes surged above $40. Yet as one Northern Virginia newspaper recently concluded, "the experiment in dynamic tolling is working. Average speeds at rush hour are close to or above the posted speed limit. . . . The result has been more choice for drivers, better use of available resources, and a flow of cash to support [transportation] improvements elsewhere." The laws of supply and demand operate for highway driving, just as they operate for restaurants, airlines, football tickets, and mobile phones. As demand grows, supply should be increased — and as supply increases, it should be priced to prevent bottlenecks and keep customers coming back. 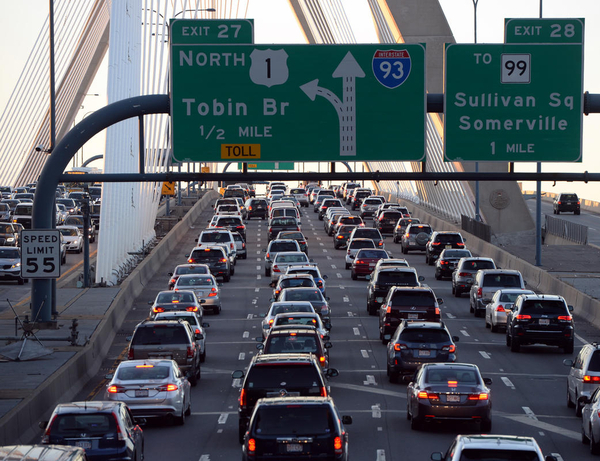 Even Yogi Berra didn't say that nobody drives on highways that are crammed with drivers. Alas, millions of Americans are forced to do so every day. But they shouldn't have to. If we build more highways and charge more tolls, they won't.